Part of planning a wedding is ensuring the reception goes smoothly. Some would argue the reception is equally as important as the ceremony. It’s the party and celebration of your new life and beginning! You want to be sure your guests are having a wonderful time, things go according to plan and snag some unforgettable photos in the process. Reception photos typically feature the bride and groom dancing, guests cutting up on the dance floor, etc. How can you make those photos unforgettable and unique? You’re having the best time celebrating your newlywed life with all of your loved ones. Photos are being snapped at every turn! How do you make these wedding photos really pop? You want these memories and photos to be unforgettable! This is the best day of your life so far! 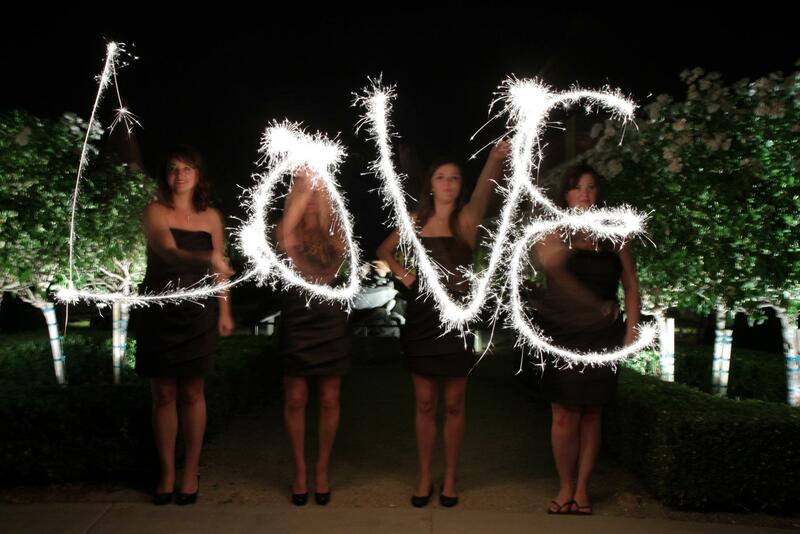 Grab your wedding sparklers and have your photographer snap some prime photos of you and your guests! When you think of a celebration, you think of champagne, dancing, excitement and music. Why not add some aesthetics to your memories? Grab a wedding sparkler and let sparks fly! Whether you’re dancing outside with the sparklers or being sent off with a tunnel of sparklers, they are the perfect addition for photo opportunities. To ensure you are capturing the best moments, fill in your photographer but include disposable cameras at the table. That way, you’ll experience your wedding reception from your guests point of view! You will have a photo book unlike any other. Let your guests light up the night with wedding sparklers and document the event so you’ll never forget that special moment! At Wedding Sparklers Outlet, we have lots of wedding sparklers to choose from! Visit our website and choose a bundle that fits your guest list! Our wedding sparklers vary in size, burn time and bundle size. We also have sparkler and buckets and customizable options such as tags for the special event. Buy your wedding sparklers today and make memories that will last a lifetime!